Commerce Secretary Wilbur Ross recently said something I think illustrates one of the biggest problems in implementing good economic policy. In addressing the need for federal workers to make it through the shutdown, he said, “Local people know who they are, when they go for groceries and everything else.” I see this sort of thinking from many people in the business community and it demonstrates an old military adage that tells us we are always fighting the last war. I cannot tell you how many times I’ve heard politicians and local leaders talk about how important small business is to the economy of the United States, how it is the backbone of our nation. This was true for a long period of time after the Industrial Revolution but today our economy is largely driven by what is called Enterprise Businesses or Multinationals. The majority of business receipts are controlled by such companies despite their entire number being a small percentage of all businesses in the nation. 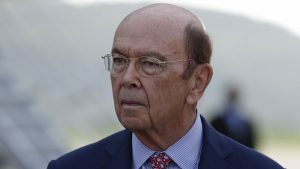 Secretary Ross and President Trump are under the impression that we all reside in a small-town America that no longer exists. Most people do their shopping at Wholefoods, at Walmart, at Home Depot, or online, even those who live in rural regions. While the clerks at such companies might well know you by name, they don’t function the same way mom and pop grocery stores did even just thirty years ago. Their accounts are done electronically and they can’t just give people another month or two to make payments. To do so requires getting into the computer code at corporate headquarters. It’s just not feasible and the fact that men like Secretary Ross and President Trump, supposedly powerful business leaders, don’t seem to understand such a simple reality is discouraging. This way of doing business saves we consumers a huge percentage of our paychecks and allows us to have many nice things. The global economy and the Enterprise Companies that arose with it deliver goods to our doors at shockingly low prices. Our choices are all but limitless and this is a product of capitalism. It is a good thing. But it also means Wholefoods can’t just give Tom a break on my purchase of potatoes because they know I’m good for it. This is the nature of our economic world. This is reality. Perhaps you harken back to a simpler time when we had to spend a far greater percentage of our paycheck on food, shelter, and clothing. I don’t. Capitalism and globalization have brought us so many wonderful things including the incredibly cheap computer, tablet, or phone on which you are reading this blog. Until our leaders recognize this modern world, they will not be able to fix its remaining economic issues. Things are not perfect, that is certain, and I do not say they are so. What I am saying is that if you are the Secretary of Commerce, if you are the President of the United States, maybe you should stop living in a delusional version of a world that no longer exists. You might make better decisions for us all.